Among the various marketing tools, LinkedIn proves to be another added asset. Not only has it been a platform to explore your professional capabilities and share your expertise with other users, but now LinkedIn is also being used for promoting and advertising purposes. Many users happen to upload the details about their work profile and their brand on the website so that they can attract clients. It is very easy to do so because you should only have a profile set up and you have to start putting up informative and attractive details of your brand so that the customers are attracted by it. Soon, you would gain an audience, and you can successfully market your brand and get good responses as well. 1. Use Your Profile as aA�DestinationA�In an informal check of LinkedIn search strength, regardless of how visible the people you are searching for on the web, LinkedIn profiles always appear on the first page with the majority appearing in the first five results. Keep your profile current to highlight your experience and expertise at all times. It can serve as a great way to share your history not only with other LinkedIn members but anyone online given the strength of search results. 2. 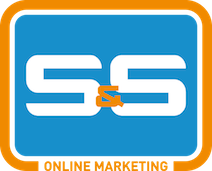 Linking Content via ApplicationsA�As the site has evolved in the past couple of years it now offers a couple of opportunities to share content from the site directly. Your LinkedIn network should be a strong source of support for your news and for your updates as your contacts are likely to be connected to your industry. By utilizing the available tools to link to your blog, twitter feed, or to create polls you can share helpful information with this network that might be passed along further to create new connection opportunities for you or your business. 3. Connect with New Contacts in Groups and AnswersA�LinkedIn Groups are a great way to identify other users that have A�similar interests and needs. In addition to the essential benefits of learning from others, Groups offer a number of benefits for each user. You are able to view other members contact information and participation in a group or the LinkedIn Answers section allows you to highlight your ideas and insight. By giving useful information to others you will improve your own reputation on LinkedIn as an expert resource on select topics. The creation of open groupsA�is of benefit in a broader sense as well because discussions can be viewed by anyone on the web and picked up by search engines. 4. Research PotentialsA�Most LinkedIn users are familiar and comfortable with the people search capabilities to find potential connections. Dona��t forget to use other search tools on the site though as there is more extensive data available to you. A very simple search of a�?public relationsa�? provided over 11,000 listings nationally and showsA�where I have a direct or indirect connection to that company.A�Using the search tools available ita��s easy to track current openings, identify key leaders at the organizations, and recent additions or departures. Is this information helpful for job seekers? Absolutely, but this information is of tremendous value for a new business discussion or for sales inquiry as well. Perhaps you have a contact from a prior project now on the inside. 5. RecommendationsA�As either employees or businesses, a recommendation can carry a great deal of weight in the eyes of future customers. By essentially collecting their success stories in advance you have the ability to create a testimonial page on a highly-trafficked, well-established site. This could lead to future opportunities based on your work appearing in searches for specific keywords by others.A� These provide concrete examples of a (hopefully) good experience with you in a personal way. Ita��s word of mouth promotion in a neighborhood of 90 million professionals. Not a bad target audience for most and one that shouldna��t be missed.